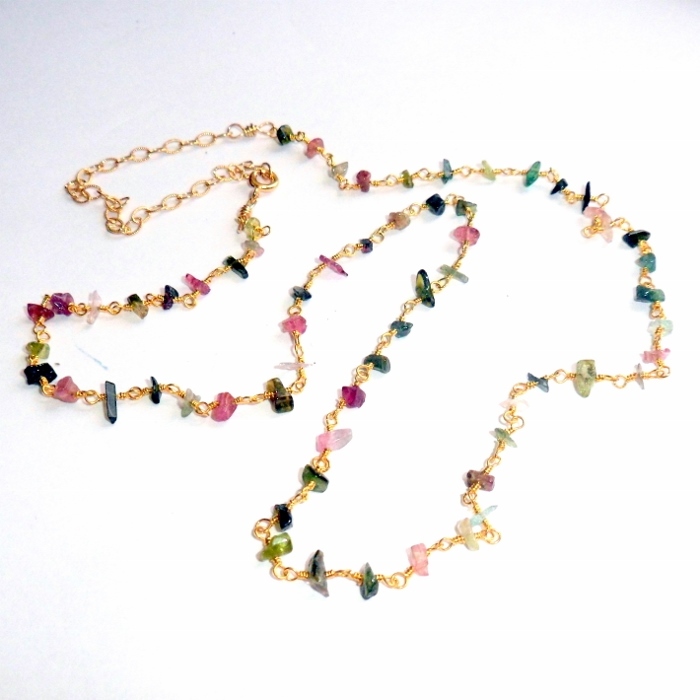 Watermelon tourmaline gemstones set on an adjustable gold vermeil necklace. Watermelon tourmaline is known for it's pink center and green rind. Watermelon tourmaline is associated with the heart chakra, and teaches you the meaning of joy and increases your capacity for healing. It attracts the energy of love and compassion. 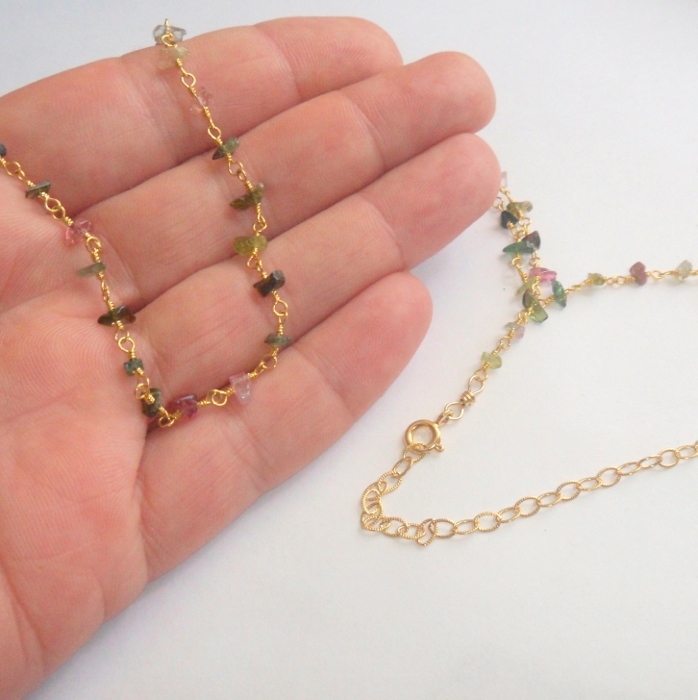 Necklace is finished entirely in gold vermeil, except for the clasp and extender chain, which are 14 karat gold fill. Necklace is adjustable from 20 to 24 inches. 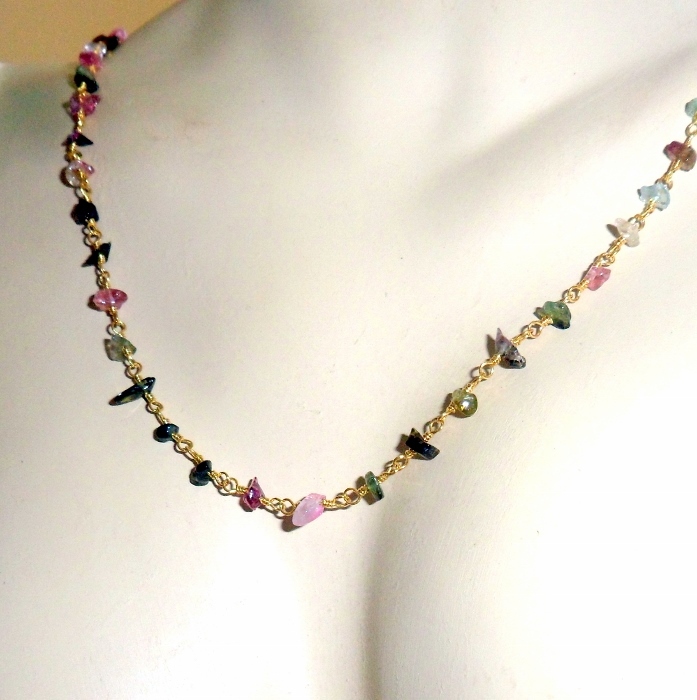 Please wear this necklace with care, tourmaline is a fragile stone.